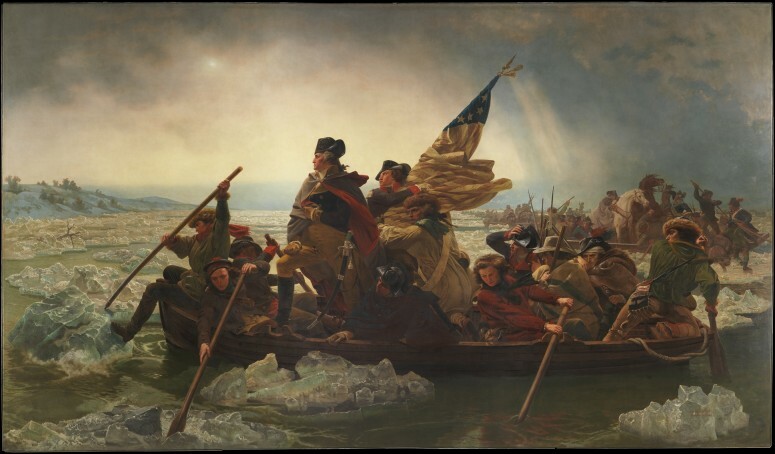 The American Revolution was unlike anything our world has ever seen. The movement saw 13 Colonies come together first in spirit and shared ideas that later evolved into a physical merger into one nation that, for the very first time in history, was founded to guarantee and protect the rights of those people that comprised the nation. It was a new type of revolution that gave birth to a new type of world. The freedom idea, or belief or movement whatever you want to choose, was one that took time to grow and root into the minds and spirit of the people in America but once it was there, it spread like wildfire. The French and Indian War left the British Empire with massive war debts that were imposed on the colonists through taxation and forced quartering of British soldiers still occupying the land. it was a one sided tax - the residents of England didn’t have to contribute in any way that was even close to equal and to top it off the colonists didn’t enjoy the full rights of Englishmen (parliamentary representation) who were in Great Britain. intolerable at its core, if you rule a people rule all the people; don’t subject people to unequal life because of their location. It was a situation where the American people, during the time of British prosperity until the French and Indian War enjoyed a life of prosperity and freedom; especially when compared to their brethren across the pond. As the British Empire thrived there was little in the way of taxation and interference in local politics from the Crown. This allowed the people there the space to forge and create their own unique identity until it was suddenly and forcefully taken by a broke imperial force that was a world away from where they were. Who were the people that comprised these colonies at this time? BY THE MID-1700s, across the American colonies, it was clear that the settlers had become increasingly less English. Travelers described Americans as coarse-looking country folk. Most colonial folk wore their hair very long. Women and girls kept their hair covered with hats, hoods, and kerchiefs. Men and boys tied their hair into “qeues” (ponytails) until wigs came into vogue in the port cities. Children worked hard because all Americans worked hard, all their lives. Most boys and girls, certainly in frontier areas, learned how to plow, mend fences, skin animals, dress meat, fish, shoot, hunt, and ride. Their lives, like their parents’ lives, were tied to the seasons as they worked and played and civilized the raw land, and their survival to a deadly aim trained on an attacker, man or beast. It was nothing for a father to go away for days or even weeks, leaving a young teenager in charge of the farm, the livestock, the house, and the other family members. At 12 or 13, most boys sought work in the form of an apprenticeship, where they learned a craft or trade from a cobbler, barrel-maker, tanner, fisherman, or other skilled artisan. Despite the reality of this coarse life for common folk, it is worth noting that by 1774 American colonists already had attained a standard of living that far surpassed that found in even most of the civilized parts of the modern world. The people that made up the colonies then are the same that you find here in America today; The American Revolution was not a single isolated event. Its a revolution that has shaped the way for us today to be able to live with liberty, freedom and carry out a pursuit of happiness as each person sees fit. They were already the embodiment of the American ideals we hold dear to today even when they were subjects of the British Crown. The people were Americans because of their entrepreneurial spirit that blended with a longing for independence and desire to be subject to no man other than his own mind, body and spirit (or own god). Both sides were supported by military units from their parent countries of Great Britain and France, as well as by American Indian allies. At the start of the war, the French North American colonies had a population of roughly 60,000 settlers, compared with 2 million in the British North American colonies. The outnumbered French particularly depended on the Indians. The European nations declared war on one another in 1756 following months of localized conflict, escalating the war from a regional affair into an intercontinental conflict. Dispute over land near the Ohio river between British and French colonialists is the most nutshell way to explain its inception. First instance of conflict was the Battle of Jumonville Glen in May 1754, during which Virginia militiamen under the command of 22-year-old George Washington ambushed a French patrol. Securing the protection and guaranteeing the colonials were unchallenged is how the British could justify taxing the colonies for the debts. They fought a massive global war and ended up taking nearly the whole continent which resulted in the locals being able to expand and continue the life of prosperity they were living before; except now they could do it unchallenged. it is VITAL to understand that the later actions and taxes had a plausible reason for being created. History is never a one sided affair and to understand it you have to know it from all the participants. How would you feel if you were England? You’re welcome for all the peace, land and future prosperity we just won for you but now we need you to help us pay for it. The reason England met so much resistance from the Colonists is their own inability to put themselves in the colonists shoes; the reasoning was there but the execution was horrible and they were completely unable to understand why. In response to the crippling debt from the war a series of acts were enacted by parliament: the Sugar Act (1764), the Currency Act (1764), the Stamp Act (1765), and the Quartering Act (1765). You should, if you’re listening and grew up in America, remember these acts from middle or high school history class or at least the names should sound familiar; thats because these acts were a crucial reason for the colonists to revolt against imperial authority. at first, in 1764, the colonists response to the the Sugar Act and Currency Act was understated, the Currency Act met almost no protest until years later when the economic effects had settled in. The Sugar Act was more controversial, it lowered the import duties on foreign molasses in hopes of curtailing colonial smuggling. If you’re actually listening you should get some confusion from that. The Sugar act lowered the import tax that colonial merchants paid when importing molasses, you’d think that would be met with open arms and normally it would be. The reason it was so controversial is how the act was carried out and the way it was enforced on those who violated it. The Sugar Act was an amendment to the previous version of the bill known as the Molasses Act. The concepts were the same, it was a revenue increasing bill that was intended to raise revenue for Great Britain via an import tax. The Sugar act lowered the existing tax mainly in hopes that those “colonial smugglers” I just mentioned would actually be stopped and people would actually pay the tax. Again, nothing ridiculous with that intent and its understandable why it wasn’t widely protested at first. It was how the act was enforced on those found in violation of it that the colonists had a problem with. The Sugar Act made anyone found to be in violation of the act subject to a Vice-Admiralty Court, which was a military court without a jury. So basically the accused person got thrown in front of a redcoat based “court” and was subject to the whim of a military commander who was fiercely loyal to the Crown. It wasn’t the tax that was met with revolt it was the way the act stripped them of what they believed to be a right to have a fair representation in court. The Englishmen in London weren’t subject to anything like the Vice-Admiralty court so why were they? Again, look at it from both sides, the crown needed money and the colonists hadn’t been paying taxes from before so really the fault is at both ends of the spectrum. Its the way the Crown treated the rights of its colonists that is the common denominator in all the decisions to come. this act was met instantly with wide open protest. It was clearly a way to raise revenue, again understandable, but it was the method that infringed on the rights of the colonists. Also a governing authority can’t expect to pass a law solely to raise revenue in a way that parliament did and not expect negative response; laws are supposed to be beneficial to both parties, regulate trade-levy tax-the merchant is protected-revenue is made. This was solely a money grab by the crown. The Act put a tax on paper essentially; it was a tax on all newspapers, leases, legal documents, pamphlets, printings and any other printed matter. It required that the holder of that printed paper affix an actual stamp on the document to show they had paid the tax for it. This was the crown taxing paper that was created in America, for the consumption of Americans and circulated within the colonies. Take for example a newspaper, why the hell should I be paying a tax to England for having a copy of a newspaper if I live in Savannah, Georgia and the paper was made in Georgia, created in Georgia, and circulated in Georgia. It was a really unfair way to tax the colonists and it was a pretty lazy bill from parliament that was seen as a money grab. Its almost as if they didn’t have any ideas for a tax so they got together and asked themselves “what does literally everyone use all the time? That’s it! We’ll just tax paper!” and saw nothin g wrong with that or no way it would be received poorly. Again, the violators of this law were thrown before a vice-admiralty court without a jury or lawyer and the act increased the power of those courts. The colonial leaders roundly condemned the Stamp Act as an unprecedented violation of their right to be taxed only by their representatives and they were right in doing so. This response from the colonists is where the famous “no taxation without representation” response was born and gained traction throughout all the colonies; simultaneously creating a new bond between the previously un-related colonies aside from British Imperial rule. American government did not originate in any abstract theories about liberty and equality, but in the actual experience gained by generation after generation of English colonists in managing their own political affairs. Several colonial leaders convened the Stamp Act Congress in New York to petition Parliament and King George III to repeal the tax. In 1766, Parliament bowed to public pressure and repealed the Stamp Act. But it also quietly passed the Declaratory Act, which stipulated that Parliament reserved the right to tax the colonies anytime it chose. What this Declatory act did was the beginning of the British Authorities official response to the colonials that sparked outrage. They invoked the “Theory of Virtual Representation”, whereby each member of Parliament was alleged to represent the interests of all Britain and the empire, not just those of his constituents. The colonists were outraged, understandably so. They demanded actual representation only from those legislators that they voted into office - and therefore they could vote them out as well - and held the belief that because they were not allowed to vote on any members of parliament that any Parliamentary taxation deprived them of their property without their consent. This is where the words of Samuel Adams himself are really the only applicable words that can describe the sentiment of the colonists at the time. "Samuel Adams - Among the natural rights of the colonists are these: First a right to life, secondly to liberty, and thirdly to property; together with the right to defend them in the best manner they can "